On Sunday I taught a farmers market to table cooking class with the Stanford Cooking Society. We started at the California Avenue Market and walked through, picking out the ingredients we wanted to prepare for our lunch. 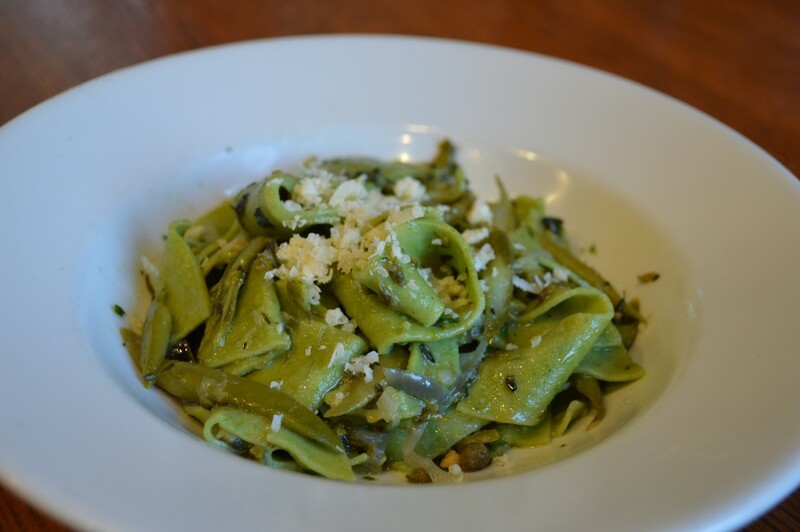 We decided on making fresh green nettle pasta with an asparagus and mint sauce. Everyone wanted to try sunchokes so we roasted them with some delicata squash and blanched leaks and made an almond salsa verde to go along with it. We also decided to make a blood orange, pomelo and little gem salad with citrus vinaigrette. We headed back to Story House to start cooking.